Why Don't We Work 15 Hours a Week? Why Don’t We Work 15 Hours a Week? 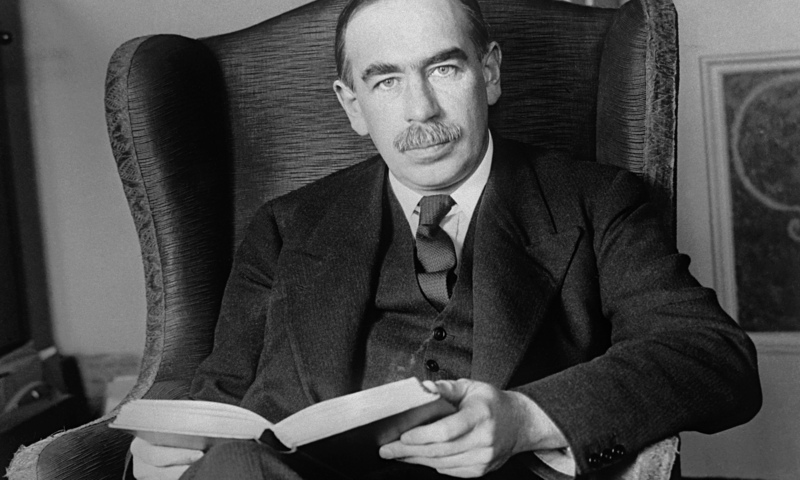 John Maynard Keynes, notable for his founding of an entire branch of economics, made a bold prediction in his writing, Economic Possibilities For Our Grandchildren. He writes that, in 100 years, living standards would be four to eight times higher. Because of the drastically higher living standard, we would trade working hours for leisure hours and only work 15 hours a week. Why then do 40% of Americans leave paid vacation time on the table? I wondered what would be a good marker for improvement of the average lifestyle of the American worker, and I thought that toilets would be a good start. In 1920, 80 percent of American houses still did not have an indoor flush toilet. Today, even in the most rural poor homes of Appalachia or the inner city, every home in America has a functioning toilet. Another way to look at our modern day progress is transportation. Back in 1919, future President Dwight Eisenhower took park in the Transcontinental Motor Convoy for the US Army. The mission was to see how long it took a group of Army vehicles to cross the country from the East to the West. Because of the awful state of the American highway system, the average speed was 5.67mph. Today, even in bad driving conditions 40mph would be considered very slow for interstate travel by motor vehicle. In 1925, the Radio Corporation of America determined that about 19 percent of American households were equipped with a radio. Today, 4 in 10 households have access to a video streaming service like Netflix or Hulu, giving Americans a virtual movie theater inside their homes. You can choose from dozens of different genres, and you can access movies in dozens of different languages. No matter what angle of life you look at, the average person is better off materially in America today by an order of magnitude compared to the worker of yesterday. I volunteered at a homeless shelter for several years, and many of the people there owned a new smartphone, tablet, or laptop computer. Even many of the homeless, who do not have enough money to put a roof over their head, are able to access modern day conveniences that dwarf the most luxurious communication equipment owned by John D. Rockefeller in his day. Clearly, the failure of Keynes’s prediction that we would work 15 hours a week has nothing to do with our absolute material condition. Economist Robert Frank has determined that humans are status seeking within the context of their peer group. That means a doctor will compete with a doctor, and a journalist will compete with a journalist. If you happen to be a professional engineer, rather than using the high marginal productivity of your labor to substitute towards leisure, you will ask “what kind of house is my coworker Marty living in?” If you look around you, this kind of peer comparing behavior is everywhere. Corporate parking lots are a great place to see competition for status at work. When some of my colleagues got a promotion, inevitably you would see a nice new luxury car over the next few weeks. Other folks loved to see pictures when someone bought a new house. When I showed up at corporate orientation, it seemed like there was a competition going on for who could be best dressed. The difference was that no one was wearing suits that cost more than several hundred dollars, while my friends in NYC reported suits costing in the thousands. The desire to be at the top of the social hierarchy means we fritter away much of what we earn to show off. When you buy a new pair of jeans or a nice new button up, do you do it because your clothes are uncomfortable and old? Or do you hope to look great to the people around you? If we lived in rural settings instead of urban fishbowls, I guarantee people would care less about what they wear. Where I grew up, the nicest cars I would ever see were BMWs and Mercedes. When I took a trip to showy Miami, I saw Bentley, Land Rover, Lamborghini, Ferrari, and other luxury car brands that I had never even heard of. Interestingly, whenever I was in high pedestrian foot traffic areas, I would always see more of these cars. How impractical to drive in a high volume pedestrian area unless your goal is to broadcast your place in the social ladder. Anytime you make a purchasing decision with other people’s thoughts in mind, you are spending unnecessarily. Luxury spending is fine. I actually do not have a problem with it as an activity unto itself. If you earn a high income, love your job, save adequately for retirement and have a healthy emergency fund in case things go south, by all means buy that Gucci handbag. Plenty of young professionals love the excitement and meaning they derive from working, and I understand that. I even get bored sometimes not having a “real job” to go to each morning. However, there is a subset of people out there that I hope to reach. They feel unfulfilled, underappreciated, or frustrated in their corporate existence. A recent Gallup survey suggested that 70% of American workers are disengaged at work. That number is alarmingly high, and doubtlessly the consumption habits of the average 9 to 5’er drive many of these people to spend the majority of their waking hours at a place they would rather not be at. You do not have to accept the status quo forever. You can utilize the massive standard of living increase Americans have experienced to your benefit. Instead of desiring the latest smartphone, buy an older functional one that still does what you need it to. Live in a very small place, because you will not need a lot of stuff to fill it and will spend more time outside. Walk everywhere or take public transportation if you can. If that is not feasible, drive a car at least five years old from a reliable, non US car maker. Instead of joining your friends for brunch every weekend, invite them over to your place and cook for them. Or if you do go out, let them order bottomless mimosas and stick to food. Any surplus funds you have should be deposited in an investment account. You should leave this money alone and watch it grow over several years, until the point where 4% of your pot of money is enough to replace your other 25 hours a week of income. At this point, you can work 15 hours a week, travel the world, start a business, spend more time with your family, or a host of other activities that are only possible when your schedule is your own. For those of you who enjoy what you do, work really hard at it. Self actualization is supposed to be our highest need as a human, so if your identity is in what you do, the better you are at it the more satisfaction you will have in life. Try not to let work totally define you, as career failure might be considered personal failure. Keynes certainly loved working. In fact, his work ethic might have led to his early death. Even so, people for hundreds of years will remember his name, even if he was dead wrong that we would all work 15 hours a week. Poor Keynes underestimated how much we all like to waste money and sit atop the social ladder. Do you work part time by choice and love it? Do you work 80 hours a week and feel totally fulfilled? Whatever your views, feel free to comment below! Hopefully we will start to see a change here and people will begin to wake up a little. Sweden is shifting to a 6 hour workday (http://www.sciencealert.com/sweden-is-shifting-to-a-6-hour-workday). Maybe the benefits will be found and this will start to catch on. One huge hurdle that has to be overcome in the corporate world that I have seen is that it matters more the amount of time you are seen in the office rather than the amount of work you actually get done to an extent. My ideal “work” time is around 15 hours a week but I’m going ro wait until I retire from corporate America in less than 3 years to execute those hours. After early retirement I can see myself using 3 hours to check on investments, blog, and contribute to society. The 40-hour workweek is too profitable for corporate America to let it go. They profit on people not having time to do their own chores and being stressed out but you’re right saying that you could make a difference yourself by saving instead of spending and then making your own hours. Great post! Based in productivity improvements in the last 40 years, most of which haven’t gone into workers paychecks, we could be working about 20 hours per week, or making twice the income. That’s right, we are getting about half what could be, if workers were paid fairly. I am printing out your words to make a work poster for me:”For those of you who enjoy what you do, work really hard at it. Self actualization is supposed to be our highest need as a human, so if your identity is in what you do, the better you are at it the more satisfaction you will have in life.” I love my job, but for those rare moments that I feel a little lazy, I will read the poster. Thanks! Also, (I’m a Boomer, not Millennial), I couldn’t care less what my neighbor owns. I dress comfortably, own a small car and small condo outright, and zealously pinch pennies. I used to worry about keeping up with the Jones’ but, happily, those days are over! My friends are in debt and can’t quit. I have no debt; savings; can quit; and they’re jealous. Lifestyle is often a choice. I’m writing this for any Millennial who should come across this post. I thoroughly enjoyed this article! Thanks for sharing it!